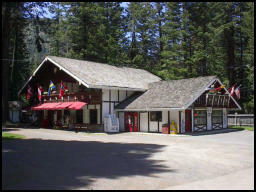 Nestled in the pines, at the end of beautiful Wallowa Lake is the Matterhorn Village. 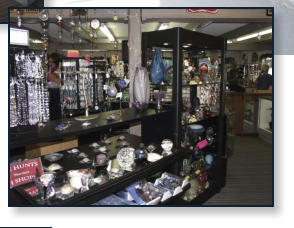 Our Matterhorn Gift Shop offers unique gifts and souvenirs. 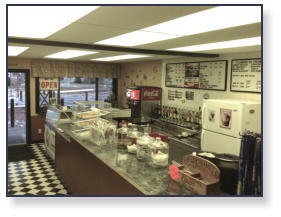 Scoops Ice Cream Shop serves ice cream and beverages. 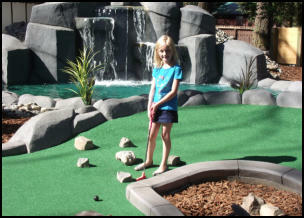 New to Matterhorn Village in August, 2011 is our 18 hole premier miniature golf course called Mt. Pines Adventure Golf and our Candyshack, offering an assortment of sweet treats. Mt. 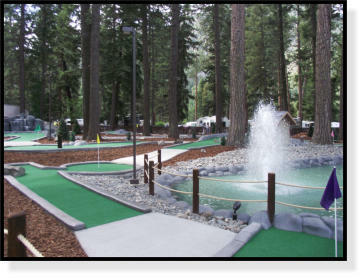 Pines Adventure Golf is a premier 18 hole miniature golf course among the pine trees which offers challenges and fun for the whole family. Putt through a log, through rocks and even into the water for a chance at a hole-in-one. You'll enjoy the calming waterfalls and fountains along the course. It is truly an exceptional experience you'll want to play over and over again. Scoops Ice Cream Shop is open Memorial Day weekend through the end of September. Scoops Ice Cream Shop is located in the back of the Matterhorn Gift Shop. We offer fresh pastries, coffee and espresso, Big Train drinks, Italian soda's and Tillamook ice cream, featuring our homemade waffle cones and old fashioned sundaes. So stop by and treat yourself!